There exist sunny houses in which, at all seasons, it is summer, houses that are all windows. In movies the light-filled home is relatively hard to find, compared to the dark, ominous house in which light and dark are exaggerated with lighting. I bought The Collected Stories of John Cheever as a salve to heal my Mad Men withdrawals, and this is one of Cheever’s stories that absolutely reminds me of Mad Men. Stephen Bruce is a Don Draper character; his daughter is a Sally Draper type. Matt Weiner has cited Cheever as one source of inspiration for Mad Men, and in this story we have an early example of the sympathetic antihero. A married man (on his second marriage) has an affair with a woman in his social circle. They are seen out and about, the man’s wife hires a private investigator and eventually the woman’s husband leaves her, taking their children to the country. 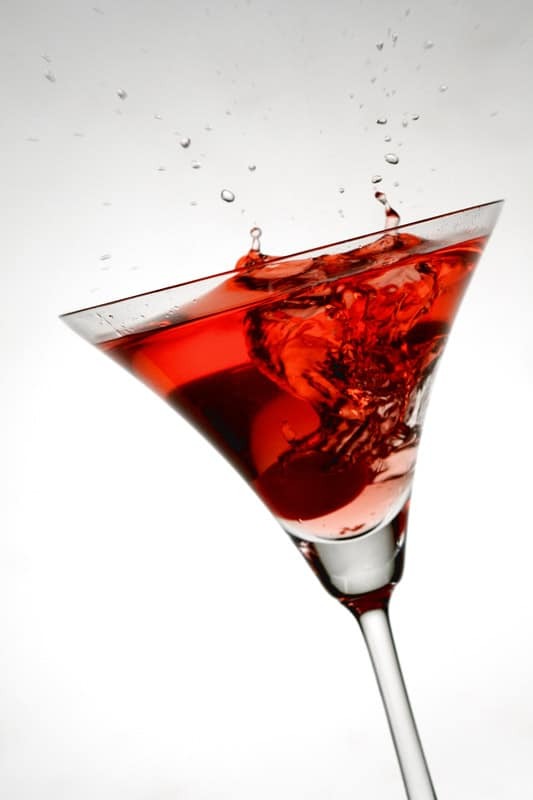 One Cheever-endorsed Cure for Loneliness: Drink many martinis and forget the difference between reality and delusion. In his story ‘The Cure’, Cheever comes pretty close to writing a supernatural thriller story, with a few typical thriller genre beats. Thriller involves detection, but there are typically far fewer suspects, and emphasis shifts to the detective being an average person who enters extreme danger. The story of a man’s attempt to cure himself of a disastrous marriage. His wife, Rachel, had left him for the 2nd time taking their three children with her. He had set up a routine for himself and wouldn’t answer the telephone, for he wanted no reconciliation with Rachel. But he was unnerved by a peeping Tom, who appeared at the window every night. When he discovered it was a neighbor who was harmless he felt no better. He seemed to see a rope around his own neck and he couldn’t sleep. Finally he answered the telephone. It was Rachel and a reconciliation followed. Tom was never seen again and all was well. The New Yorker refuses to spoil the real story — theirs is a surface level summary, avoiding spoilers. The interesting question is: How much of this story is true, within the world of the story? Do Characters In Fiction Need To Change? How Much? Not all characters change in stories, but some sort of change must happen. Michael Hauge uses the term ‘transformation’, and not every transformation is a character arc for the main character (however that is defined). Your hero’s external circumstances will change. She (or he) might be wealthier, more powerful, more successful, more admired; she’s is in a new relationship; she is no longer threatened by the villain or demon or disease she overcame; or (if she was unsuccessful) she might be alone, or disgraced, or deceased. Your hero has changed internally. The arc of her inner journey might have made her more courageous, more loving, more moral, or (whether she succeeded or failed) wiser. The world around your hero has changed. Her courage and sacrifice has made those around her safer, happier, wiser, more loving or more courageous themselves. The fourth transformation may be harder to recognize and achieve, but will be just as powerful: you, the storyteller, will change. How much does your main character change over the course of the story? This needs to be determined at the start of the writing process. If studying a character rather than creating one, it’s a useful aspect to consider. Bear in mind that some authors, famously Chekhov, do not create main characters who change, and this is the very point. Mad Men creator Matt Weiner has said the same thing about Don Draper, making the point that in real life, unlike in most popular stories, people just don’t change all that much. Or the events of a story can actually change characters, make them more complicated. Ford Madox Ford, quoted by James Wood in How Fiction Works, pointed out that in older novels — especially those from England — the novelist would begin at the beginning and work chronologically through their character’s life, telling us all about their education and other influences. Nate [of Six Feet Under] has good intentions, but he’s an amateur jerk. He’s a selfish narcissist. And the tragedy is that he never transcends that. He never grows up,” Ball said. the goal of a TV show, unlike that of a movie or novel, no matter how ambiguous, is to never end. One way to address that basic economic mandate is to create a world in which there is no forward progress or story arc at all, just a series of discrete, repetitive episodes–In other words, the procedural. But if you’re interested in telling an ongoing story while remaining true to your own sense of the world, it helps for that worldview to be of an endless series of variations in which people repeatedly play out the same patterns of behavior, exhibiting only the most incremental signs of real change or progress. When the [character] “change” feels beautiful … I think it’s because the character has confirmed what we’ve hoped or suspected all along. Maybe the character hasn’t changed at all, but rather has finally been put in a situation where her truest self can be revealed. … Stories, to my mind, are never about change. They are always and only about the possibility of change. If you’re in the middle of writing something and find that you’re second-guessing your thumbnail character descriptions, see The Always/Only Test by Andrea Phillips and realise you’re not the only one. The continuing series, of which successful stories can run perhaps 10 series. The novelistic, limited series which runs for perhaps 5 or 6 seasons at most. The storytelling in each looks quite different. These are the terms used by John Truby, who is a Hollywood movie guru. TV writers use a different terminology. TV writers in the United States call the BATTLE the ‘worst case’. BBC writers call it ‘worst point’. The essential difference between a complete TV drama and an ongoing series: In an ongoing series such as Coronation Street, Eastenders, Batman, Superman, Flash Gordon and everything else like it, each episode ends at the BATTLE. Be it TV or film, a complete story is a complete story. The main difference may simply be budget allocated, but even that difference is disappearing as high budget TV gains in popularity and in quality. If it’s a commercial station you’re watching, writers know where the breaks must go. The BATTLE scene will occur right before the final ad break. The final segment will of course give us the SELF-REVELATION and the NEW EQUILIBRIUM. So was I frustrated by the ending? You bet. But I was supposed to be. I realized that was the only way the show could have ended, by not ending. Some have argued that Tony really was whacked. The last scene was told largely from his perspective. If someone shot him in the head from behind, everything would simply go black. But I think the open ending was all about the fundamental technique of the show. Every character and action in that diner was both everyday normal and full of dread. Tony had become a king trapped in a state of nature, death on all sides, and it could come from the littlest nobody. At any time. That’s the life he has sown. Farewell Sopranos, the king of drama. You were big drama and small drama; big story and small story. Most of all, you were professional writers at the top of their craft. Thank you. When I was talking to HBO recently, I told them about a big learning experience I had thanks to the finale of The Sopranos. A lot of people didn’t like the ending, but I thought it worked. It’s not just that it was anti-climactic. It was anti-conventional. It played against expectations, but it worked in a sense that was satisfying. Those are the classic tonalities of endings. Q: But The Sopranos ending isn’t really any of those, and it’s still satisfying. Right. I thought about the ending with them sitting in this restaurant, and I realized there was a fifth possible ending, which is what I came to call “exhaustion.” That means that the characters have been emptied out completely, and the writer has exhausted their humanity. There’s nothing you don’t know about them. Everything is known, including their dreams. That was it. All those characters in The Sopranos were exhausted, and it was satisfying. You realize you know everything. You got to know these characters like you never have with somebody in your own life. That’s exhaustion in the strict sense of the word. The Sopranos taught me the fifth ending, which is only possible in the long form—long novels or a hundred-episode series. Exhausting characters takes a lot of storytelling. If a film exhausts somebody, then the character wasn’t that complex to begin with. 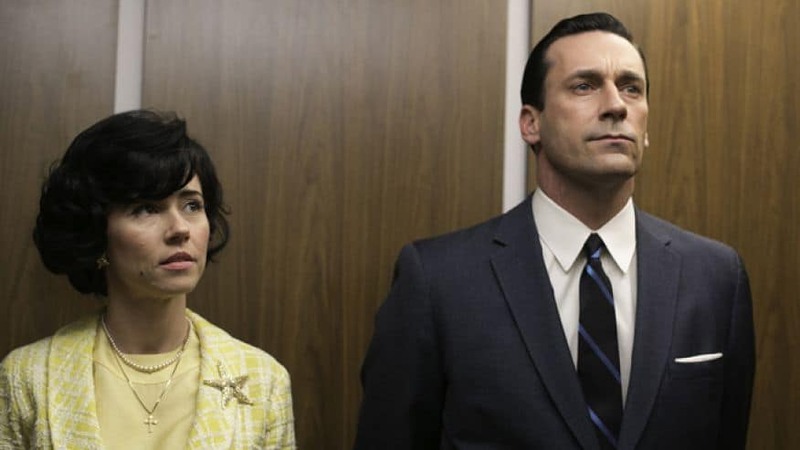 I would say Mad Men ended with the fifth kind of ending, too, not because there was nothing more to know about Don, necessarily — a secretive character by nature — but because there was nothing more to learn about that whole world. What about The Wire, which didn’t try to do that so much with characters, but with Baltimore? That would be another way of looking at exhaustion, which is that you emptied out the potential of the setting. I think those characters from The Wire still have lives to live after that and have potential for change, but you’ve come to know that world so much that Baltimore is exhausted. A classic example of writers not knowing that they reached the level of exhaustion is Dexter, because he was emptied out and wasn’t going to change by the end of season four or so. But it was making money, so they made new serial killers and put the emphasis on the antagonists, but Dexter was an exhausted character, and it got stupid. For months AMC has been beating the drums for the so-called “last” Rick Grimes/Andrew Lincoln episode. And as it came time to hunker down for Sunday’s “What Comes After,” speculation ran rampant on how our leading man would exit the zombie apocalypse. Would he remain impaled on that rebar spike and simply bleed out? (Too easy). Would he become zombie-chow for the two hordes of walkers coming his way? (Too lame). Would Negan somehow escape and kill him? (Too convenient). Would he realize his dream of an ideal society was crumbling and simply ride off into the sunset? (Too undramatic). Or would he, as gamesradar.com had listed among its scenarios, be accidentally killed by little Judith after she somehow got ahold of a gun? (Too horrifying). Film Endings and TV Endings are similar in many ways.